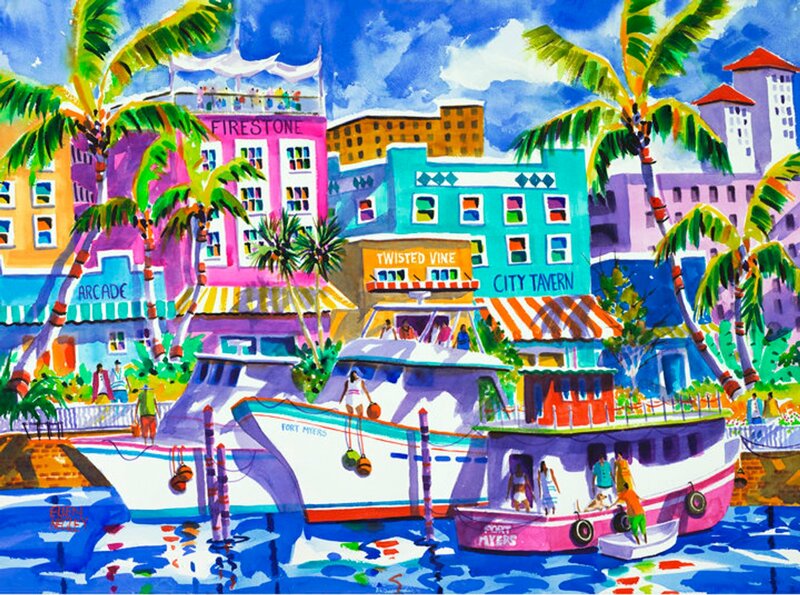 This print of Fort Myers is named "Fort Myers Flavor" and was chosen as the official poster artwork for the 2019 ArtFest Fort Myers Art Show. It was a huge honor to be chosen again to represent this amazing art-loving town. This particular scene is of the waterfront looking towards the downtown. I just love all the cute and colorful buildings.